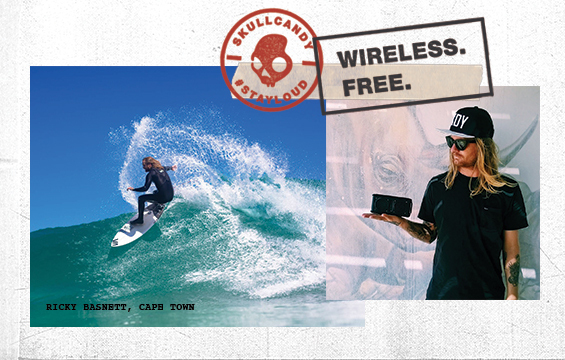 JOHANNESBURG, South Africa, 4 March 2016 – Skullcandy South Africa is excited to announce its newest addition to the family – Ricky Basnett – one of the most influential and innovative free surfers of this decade. 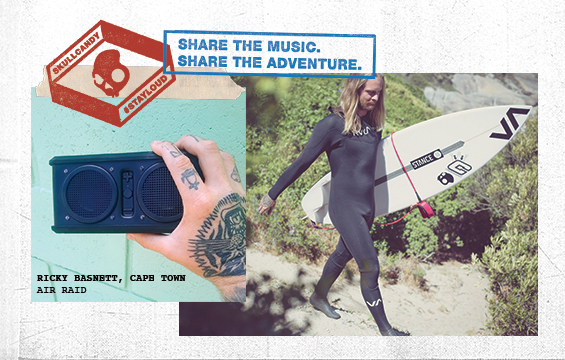 “Basnett is an invaluable addition to the Skullcandy family who fully encompasses the Skullcandy brand lifestyle and exemplifies our core values,” said Dustin Botha, Director of Luks Brands. Hailing from the Bluff in Durban, Ricky’s local spot was Cave Rock, a wave indistinguishable from Backdoor in Hawaii. Surfing waves like these has definitely set Ricky apart from the rest and has matured his surfing to far beyond his years. Ricky Basnett is undeniably one of if not the most talented surfers to come out of South Africa. Dane Reynolds had quoted that his favourite surfer to watch was Ricky. Growing up in Durban and surfing with the likes of Jordy Smith and Travis Logie, it was only natural for Ricky to start wearing a contest vest. With a stellar junior career under his belt, it was time for him to jump to the WQS and within 3 years he had made it on to the elite tour with the top 32. Ricky’s surfing had transformed into such a manner that one would say he was definitely there to stay. Ricky had moments of brilliance on tour and his natural talent was up there with the best of them, but the once hungry kid who gave his all to be on tour, seemed to run out of steam. It become clear that he was giving up in heats and just not having fun competing anymore. Once Ricky was booted from the WCT, he gave up surfing professionally entirely and went down, what some would say, a rocky road. On a mission of self discovery, Ricky went on a sabbatical from professional surfing with the aim to establish what would make him that same “happy kid” he was when on a wave without the pressure of competitions and tours. After a few years of personal struggles, what brought him back to the sea was his passion for surfing without the intention, surfing for him self. He transformed his love for surfing into a synergy between surfing and self. He has now became a professional Free Surfer, arguably one of the best free surfers in the world. 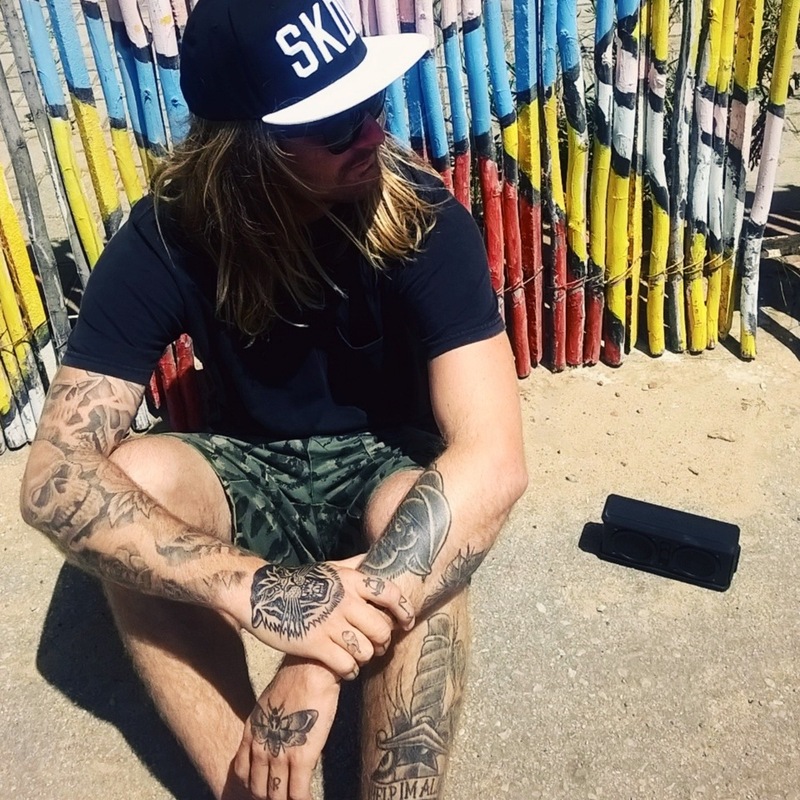 Recently Ricky has joined the Skullcandy family, and it couldn’t be a more perfect match. The Ricky Basnett brand goes hand in hand with the lifestyle Skullcandy maintains. What many people may not know about Ricky is that he is a quiet fellow; most of his talking comes from his surfing. When you don’t see him in the water, you can almost guarantee he is on his own with a set of headphones, blasting heavy metal and shutting himself off from the mundane rat race. His life’s two great passions in life are surfing and music. Music is what gets him amped to surf, take risks, live freely and celebrate life on his own terms. Whether he his pulling into huge barrels or sitting in chair being tattooed, Skullcandy South Africa associate with his lifestyle as much as he associates himself with Skullcandy. Ricky now is a paid free surfer. His job is to promote himself and his brand, staying active on his social platforms, shooting insane videos and going on surf trips around the country. He has his eye on connecting with guys like Archy and Bruce Irons and focusing on finding new waves in Africa. Ricky is one of the most stylish surfers in the world, you can take shot of Ricky going straight on a wave and he will make it look cool. ” I hope I can inspire people to explore their own path in life, take chances and follow their passion for the love not money. I want to showcase the beauty of our country, put some fun back into surfing and keep it real #shredtillyadead,” Ricky says. Together with Skullcandy, Ricky is travelling the country performing crazy stunts in the ocean, meeting new dynamic people, living off the salty breeze, all the while entertaining his fans with his fearless vigor for life and his unadulterated need to veer away from the norm. Skullcandy is the original lifestyle and performance audio brand inspired by the creativity and irreverence of youth culture. Skullcandy designs, markets and distributes audio and gaming headphones and other accessory related products under the Skullcandy, Astro Gaming and 2XL brands. Skullcandy is one of the world’s most distinct audio brands by bringing unique technology, color, character and performance to an otherwise monochromatic space; helping to revolutionize the audio arena by introducing headphones, earbuds and other audio and wireless lifestyle products that possess unmistakable style and exceptional performance. The company’s products are sold and distributed through a variety of channels in the U.S. and approximately 80 countries worldwide, including the company’s website at www.skullcandy.com.